The obvious answer to that is, isn’t everyone. However, finding true happiness, that you can sustain, isn’t obvious to everyone. Today I was fortunate enough to get to spend my afternoon with one of my best friends, drinking coffee and catching up on the past month. As the afternoon progressed I popped outside for a few minutes and came across two men, one white man in his late forties and one Asian man in his early twenties swooning over a fancy sports car in the car park. The reason for my mentioning ages and race will become apparent later. I debated for a moment on whether to just smile in response or to actually express my opinion. I went for the latter and said “I think it is all about what makes you happy.” They both agreed and so I continued. “If you think about the times you are out with your family and friends, yes. If you have just purchased a new car, television, you will talk about it then, not so much the next time or the time after that. The things you will discuss, will reminisce about, laugh about time and time again are the time one of you got drunk and did something daft, the time you had a date that went so wrong it was funny, the time that… whatever life experiences you have had that have stayed with you. These are the things that you will talk about, laugh about for years, not moments. Both men, two very different men, said you are right and gave me the biggest of smiles. However different they appeared to be on the outside, it was a joy to see that on the inside they recognised that whilst material things can be nice, the joy they give is short lived and doesn’t feed your soul. Our little chat at an end, I went back to my friend to further top up my happy. Half an hour later, one of the men and his partner passed our table as they left. The man turned, smiled, said “I hope you have a lovely rest of your weekend and take care.” My friend asked whom that, was expecting it was someone I knew, so I explained what had happened. I shared with these two men something I truly believe, that happiness is not about feeding your bank balance, your house full of gadgets, your driveway with fancy cars. 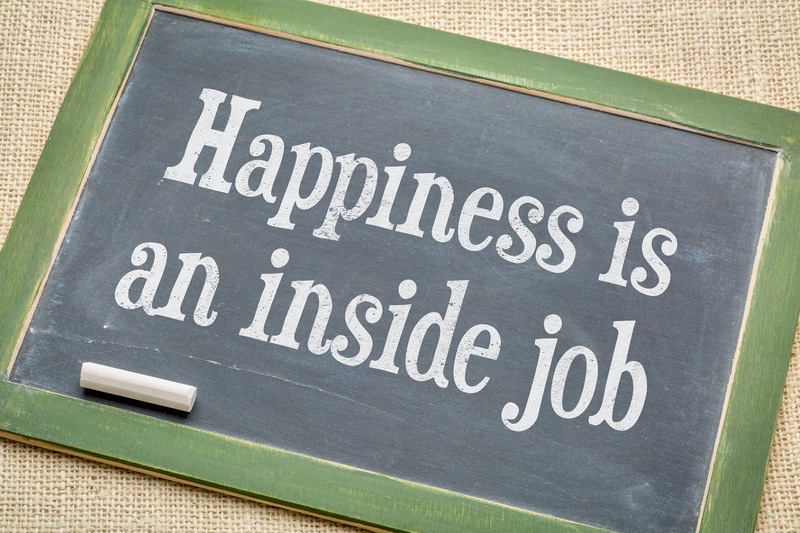 Happiness, true, sustainable happiness is about feeding your soul. It is about doing things you love, spending time with people you love, meeting new people. It is about doing things that inspire you, that make you so passionate you want to tell everyone you met about them until they feed you cake just to shut you up for a moment (hint, hint to any of my friend who are reading this). So on that point, I wish you all a wonderful Sunday and I hope you feed your soul and find your happy.